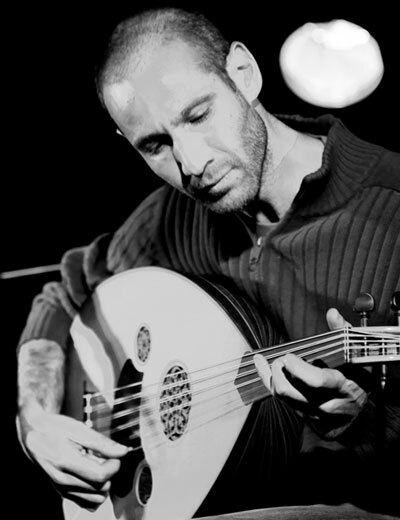 Composer, oud player, Eran Zamir was born in Israel on april 15th 1981. Born to a musical family Eran was exposed to music from an early age, he began taking guitar lessons at age 13, studying classical and jazz guitar. Once in high school, was a music major and was on the school's big band orchestra. Served 3 years on the israeli air force orchestra as a guitarist. After his release he went traveling for a year and a half in India Australia and New zealand, where he also successfully busked using a guitar and didgeridoo simultaneously. Returning to Israel Eran Zamir started studying jazz guitar at Rimon school of music, where he first met famous oud player Yair Dalal inspiring him to first pursue the oud, quickly falling in love with it. He left Rimon and was accepted to the Jerusalem music academy's eastern music department as an oud player, studying under professor Taiseer Elias, mr. Naseem Dakwar and professor Dalia Cohen among others. While in the academy, played in many concerts, wrote music for several dance works for which he got a citation and played with many local artists such as Berry Sacharof, Ivri Lider and Zehava Ben. Played as a soloist with the revolution orchestra and wrote the music to the film "B Minor". Produced two of his own music festivals one having artist songs stripped down to minimal form using only a guitar or piano and vocals trying to find the connection between the lyrics and the melody, The other was a local modern eastern music festival which had 13 acts. 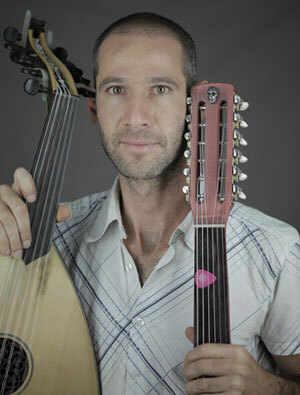 Began playing his own materials with his trio (oud, percussion and bass) in 2011. Recorded his first album "In good spirit" and performed all over Israel promoting it. Approached arranger Zohar Sharon on 2012 asking him to arrange his album "In good spirit" for a 14 piece orchestra using classical and eastern instruments. Together with sound engineer Ben Spector, they made the album "Complementary opposites". His own creation the "Sirena" guitar which is a hybrid between an oud and electric guitar is also featured on the album and used playing solo shows with a looper.